Dental Radiographs - X-rays of your pet's teeth are needed periodically to evaluate your pet's oral health. 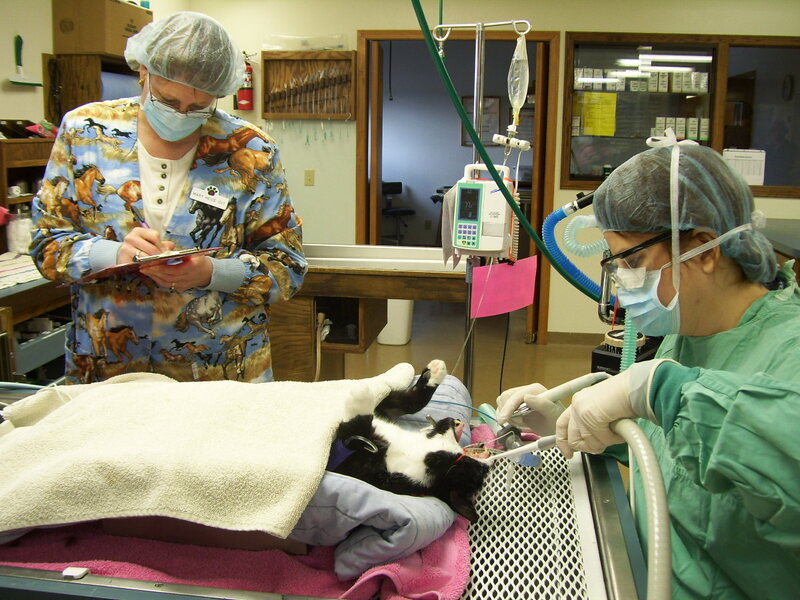 X-rays also help veterinarians detect abnormalities that cannot be seen through physical examination alone. They can also confirm the need for tooth extraction when teeth are loose or badly infected. An X-ray prevents possible extraction if the degree of the dental disease is reversible thus preserving your pet's health!